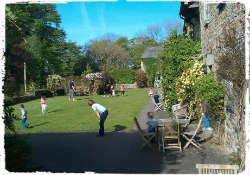 The Glynn Barton Cottages are a complex of child friendly self-catering cottages set in 13 acres of Cornish countryside. 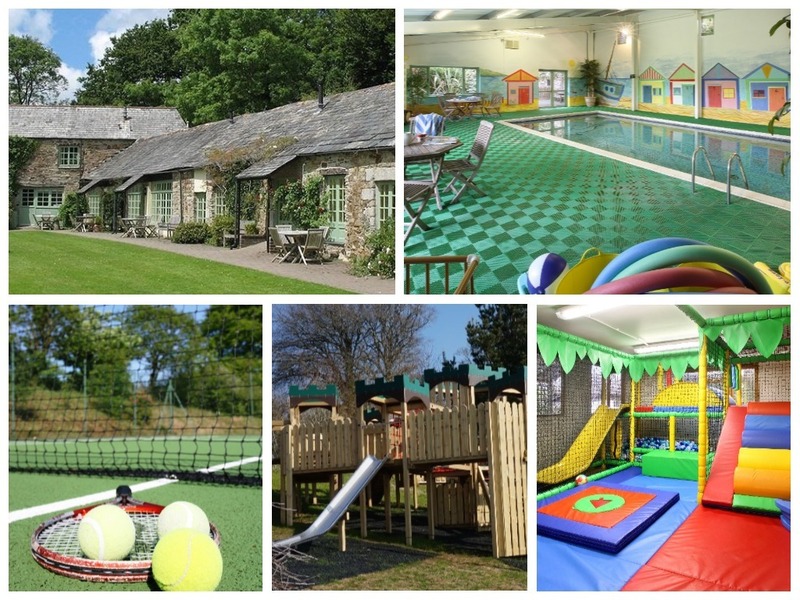 There are eight cottages in a range of different sizes, and lots of on-site family-friendly facilities including an indoor heated swimming pool, tennis court and children’s play area. The cottages at Glynn Barton are located in the Glynn Valley, approximately two-three miles from Cardinham and Bodmin, and within easy driving distance of Padstow, the Eden Project and the north and south coasts of Cornwall. The eight cottages at Glynn Barton range in size from one to three bedrooms and all look homely and inviting; they also come well-equipped for those with young children including cots, bed guards, changing mats, high chairs and so on. To give you an idea of prices a week in Hayloft (sleeps six) at the height of the summer costs £2300, while an out-of-season week costs as little as £840. A four night stay in Mill House (sleeps four) in April costs £725, and discounts are often available for last-minute stays. What stands out about Glynn Barton is the range and quality of child-friendly entertainment on site. There’s an indoor heated swimming pool, a tennis court, a games room with pool and table tennis, an indoor soft play barn with a slide and ball pool, an outdoor play area with playhouse, an area for driving ‘ride-ons’ and lots of other open space.. the list goes on and on. There’s even a maze! There are also animals on site like pigs and donkeys and opportunities to feed them, and to collect eggs from the hens, which we know from experience will be a treasured memory for all young ones. Forest walks can be taken right from your doorstep and the beautiful beaches of Cornwall are easily reachable. 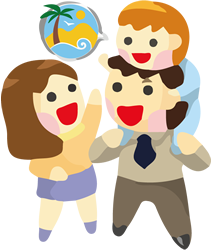 Aside from a myriad of ways to keep the children happy come rain or shine, the complex has an on-site shop to help make dinner time easier for mum and dad, and a babysitting service can also be arranged on request to provide parents with some evening relaxation. 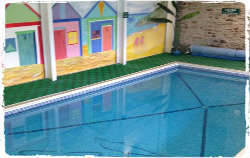 Swimming lessons can also be organised at certain times. In summary, at Parent Friendly Stays we absolutely love the look of the Glynn Barton cottage complex and can’t wait for the opportunity to go and try them out ourselves. 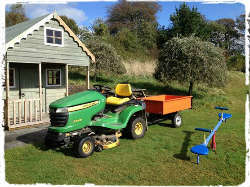 “We take pride in our ‘Child friendly holidays‘ with Children free to run around and parents are free to relax safe in the knowledge that the nearest public road is almost a mile away and in between is nothing but lovingly tended gardens, wonderful facilities and a host of friendly farm animals. Like the Pied Piper herself Shirley leads mini-guests on her morning rounds hand feeding the animals and collecting the eggs – the highlight of many a junior guest’s stay! If you’d like to find out more about family friendly holidays at Glynn Barton Cottages, including booking and availability enquiries, just fill out the form below.